32 Women and Cardiovascular Health A Position Paper of The Women’s Health Council ‘fewer women than men with suspected acute heart attack symptoms are referred for non-invasive tests, and fewer women than men who tested positive for heart disease are recommended for further testing and treatment… probably due to a combination of gender differences and gender bias’ (Laher, 2001). This assertion has been borne out by the findings of a number of studies, both in Ireland and abroad.  Bedinghaus (2001) found that when women present with myocardial infarction they are more likely than men to be misdiagnosed, and they are also more likely to die of their first infarction. A survey of eighteen medical practices in England that explored differences in treatment for men and women with ischaemic heart disease, found that the results suggested a systematic bias towards men compared with women in terms of secondary prevention of ischaemic heart disease (Hippisley-Cox et al., 2001). Women with angina were found to be less likely to be referred to a specialist or to have revascularisation than men, and in secondary care further inequalities were found in investigation and use of drug treatment. Among patients with ischaemic heart disease, it was also found that women were less likely than men to have their risk factors (body mass index, smoking, blood pressure) recorded (Hippisley-Cox et al., 2001). Most recently, an article published in the Irish Medical Times this year reported on a study carried out by Vittinghoff et al in the United States. The study, of 2763 post-menopausal women with serious heart disease, found that doctors often fail to prescribe aspirin, beta blockers and cholesterol lowering drugs to the women, in spite of the fact that these drugs have been shown to prevent further heart attacks or other heart trouble (Hurley, 2003). Beta blockers, which slow the heart rate, were only being taken by one-third of the women who should have been taking them, only half the women who qualified for them were taking cholesterol lowering drugs, and although all women who had suffered a heart attack should have been prescribed aspirin, only 80% actually had been (Vittinghoff et al., 2003). In Ireland, HIPE database information showed that among patients with ischaemic heart disease and/or acute myocardial infarction, hospitalisation rates for males were found to be roughly double that for females (Codd, 2001). The findings of a recent study carried out at health board level suggested that access to secondary preventative therapy is not equitable across regions, gender and age in Ireland (Bennett et al., 2002). Bennett et al., found that men were more likely to receive any secondary preventative therapy, except statins, than females, and that younger patients were more likely to receive the majority of secondary preventative therapies, particularly aspirin, statins and beta-blockers. Given the time lag in the development of cardiovascular disease among women, discussed above, the implication of these findings is that women are doubly disadvantaged. 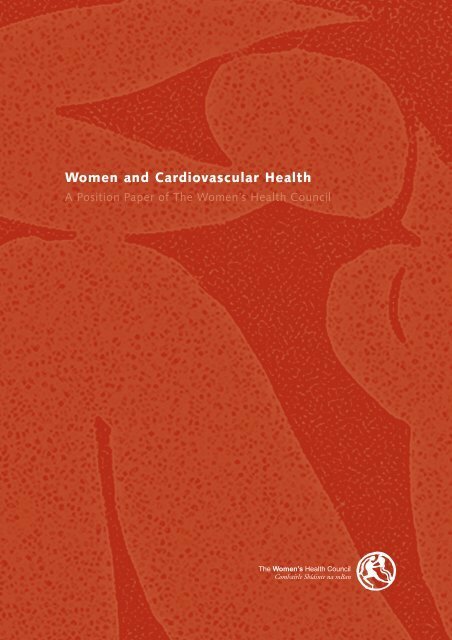 Women and Cardiovascular Health A Position Paper of The Women’s Health Council 33 Commentators have suggested that the different and often less aggressive handling of coronary episodes in women may be related to the different symptoms of heart disease among women, in particular the greater frequency of non-coronary chest pain and women’s tendency to be 10 years older than men when first presenting with cardiovascular disease or up to 20 years older at the time of myocardial infarction (Hines, 2001). Attention must be paid to medical teaching around cardiovascular disease, and in particular the notion that prevalence is lower in women must be challenged. At present, MacSheridan has asserted that this assumption means that doctors are less likely to consider a diagnosis of cardiovascular disease in the female patients, and that both they and their patients may not be sufficiently educated to recognise and respond to symptoms (MacSheridan, 2001). The particular needs of women regarding cardiovascular disease were acknowledged to some extent in the Cardiovascular Health Strategy report, Building Healthier Hearts (Department of Health and Children Cardiovascular Health Strategy Group, 1999). The report noted that special attention is required to ensure adequate participation by women and by older patients in cardiac rehabilitation programmes, and recommended that current services be expanded appropriately. However, it did not incorporate the recommendation of the European Institute of Women’s Health to develop a two-sided approach to dealing with heart disease with a view to tackling both how health care professionals screen for the disease and the need for women-specific research in the area (European Institute of Women’s Health, 1996). This should be done as a matter of some urgency.